We're so pleased to offer this beautiful new design... 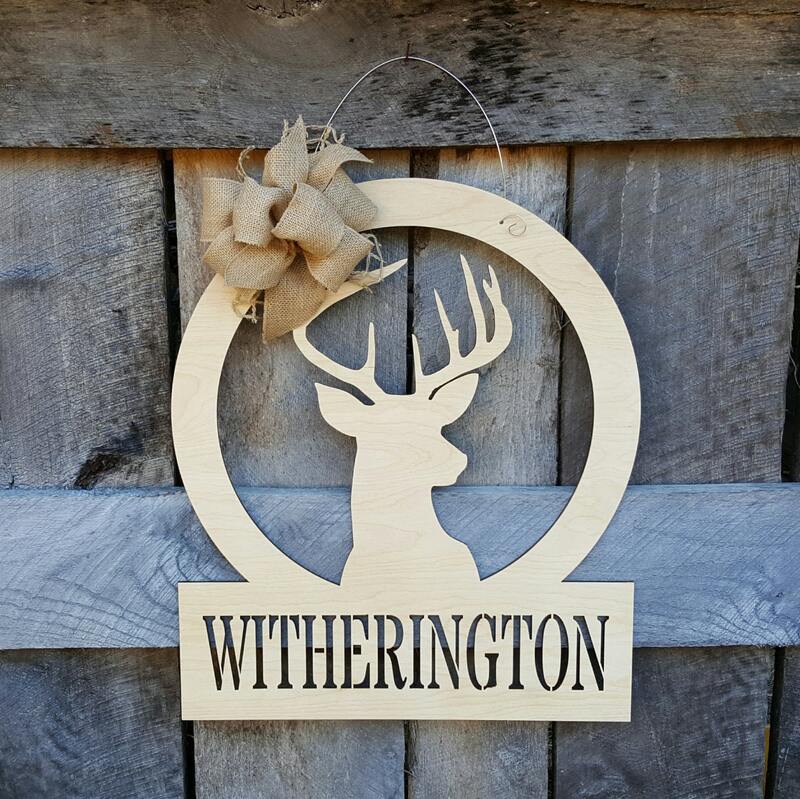 It is the perfect way to showcase your family name or child's name for a fun personalized touch to any space! The piece is laser-cut from 1/4" Baltic birch. 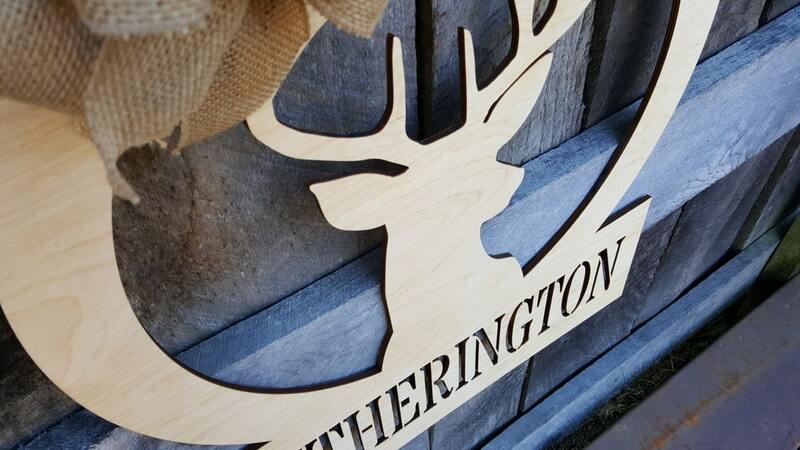 It can be finished with paint or sealed with a clear-coat to highlight the natural accents left from the laser-cut. The choice is yours! Either option will be finished off with a coordinating burlap bow and attached wire hanger. So, each piece arrives ready to hang and enjoy! The wooden portion of the hanger measures 22" tall. The attached wire hanger adds a few inches to the overall height of the piece. The burlap bow can easily be removed if you prefer to leave it off for display. Super Cute!!! Love it!!! Thanks!